In March 2002, T.W. 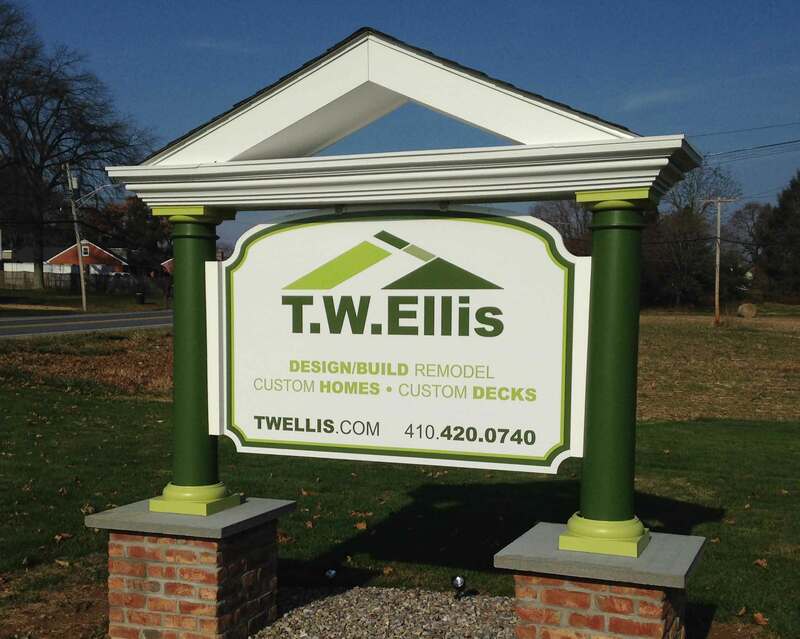 Ellis LLC was established by Tim and Barry Ellis, proud natives of the Baltimore Maryland area. From the start, our vision was to be a home remodeling and deck building company that was committed to quality, knowledge, and values. We understand that you are trusting us with your home and we take that very seriously. One of the main differences between T.W. Ellis and other home remodeling contractors is our commitment to continuing education and industry certifications. As products, construction practices, and safety concerns change over time, contractors need to be educated or even retrained to utilize proper methods and procedures. These elements are key to our success but we don’t stop there. Tim Ellis, co-owner of T.W. Ellis, takes a very active role in supporting the remodeling industry. Having already held the position of Green Remodeling Committee Chairman in 2013, Tim will fulfill the duties of Chairman of the Board for the NAHBR in 2019. Building quality decks, screened in porches, and outdoor living spaces is another area that T.W. Ellis takes very seriously. Barry Ellis, the other co-owner and vice president of T.W. Ellis, oversees this aspect of the business. He has been certified by the North American Deck and Railing Association, and has many years experience as a deck building contractor in Maryland. Several of our decks and screened in porches have won the Award of Excellence from the Maryland Building Industry Association. Quality craftsmanship and dedication have always been a part of the Ellis family. As a family owned business from the very beginning, we have carefully constructed a team of individuals who are equally dedicated to our customers. This also applies to the few select trade contractors that we use. Quality, knowledge, and value are equally expected from them. Since its establishment, our company has successfully designed and built over 1000 home remodeling and deck projects, many of which have won awards. You should also know that most of our remodeling projects, desks, and custom homes are built to meet or exceed National Green Building Standard. Each day we strive to prove our relevance and sustainability in the industry and we hope you will allows us to prove it to you.